Back when I was growing up in the Philippines, Halloween wasn't celebrated...so I didn't experience being in costumes or doing trick or treating. November 1 or All Saints Day is what we celebrate back there. It's a special non working holiday in the Philippines so families can go together to the cemetery to bring flowers and candles, and gather to pray for their loved ones who passed away. All Saints Day is more like a family reunion to most Filipinos. Many will camp out at the cemetery with lots of food and spend the night playing cards, drinking and having fun. Though my family stick to simply bringing candles/flowers and praying in the cemetery, All Saints Day is something I always look forward to when I was a kid. It's because of the yearly gathering we have at my aunt's place (which was near the cemetery) where we get to be with our relatives who we rarely see. Having the chance to catch up with them was always fun! There were also lots of food and drinks, and that made spending time with our relatives more enjoyable! Here in the US, Halloween is such a big deal. And though I didn't grow up with this Western celebration, I'm not being a complete killjoy this time of the year. Though I don't do Halloween decorations nor let my daughters dress up in spooky costumes, I don’t hold them back from enjoying Halloween. I'm aware of how much they love it just like all kids do. For one day, they get to go door to door, show off their cute costumes in the neighborhood, and get showered with sweet treats --- I just know how much fun it is for them! I know too that for kids, Halloween is really all about sweets, so whenever Clarise and Cherlin ask me to make treats, I always give in to their request! But I always go for easy-to-prepare ones...those that, as much as possible, won't require cooking nor baking but something that they will love. 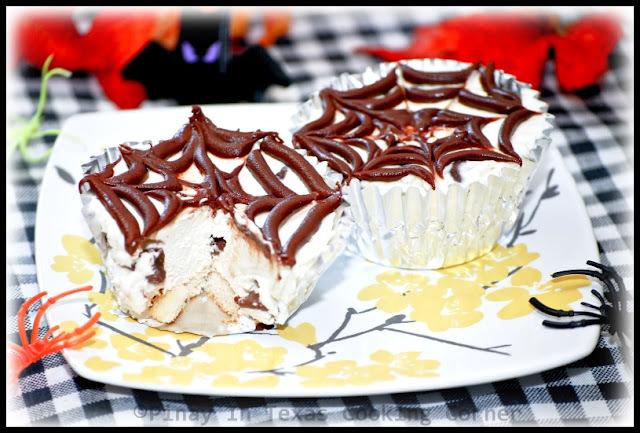 This No-Bake Cheesecake Cups with Nutella Spiderweb Topping is one of those! My girls love Nutella (who doesn't???) and cream cheese so this is so perfect for them. And with chocolate chips, they say it's like heaven! 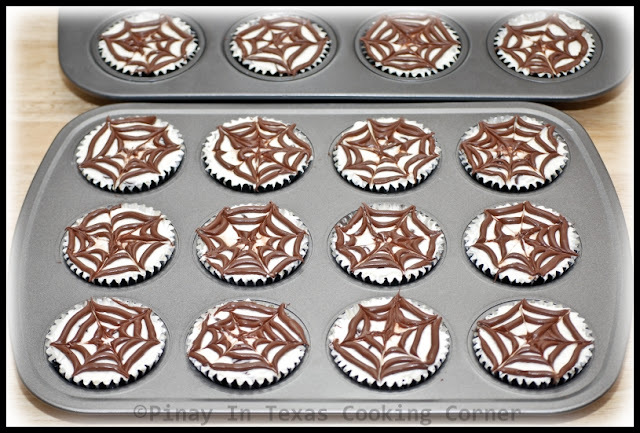 The spiderweb topping makes it a cute Halloween treat. I love it because it doesn't require baking. It actually doesn't involve any cooking, what could be better than that??! 1. 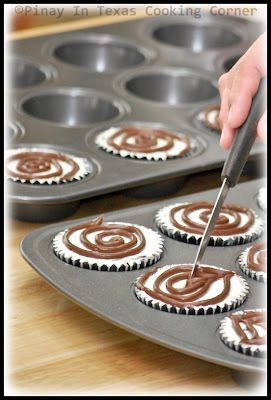 Line 16 cupcake cups with foil liners slightly coated with nonstick spray. 2. 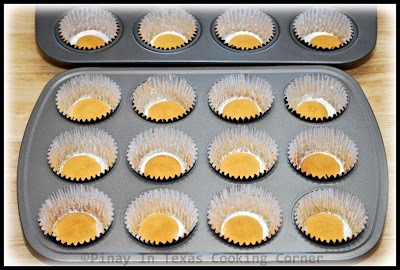 Place 1 Nilla wafer in the bottom of each prepared cup. 3. Sprinkle gelatin over ¼ cup water and let soak for 1 minute. Microwave for 30 seconds to dissolve. 4. 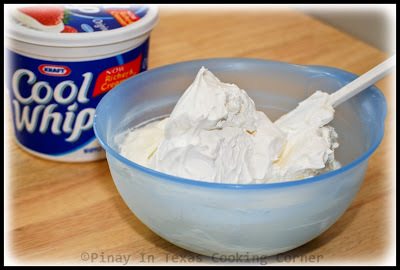 Beat cream cheese and sugar in a large bowl until smooth. Beat in vanilla and dissolved gelatin. 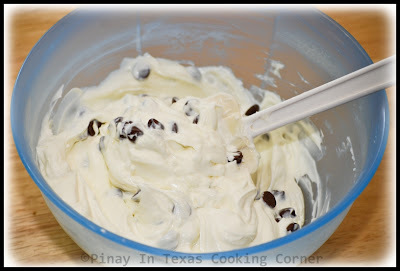 Fold in cool whip and chocolate chips. 5. 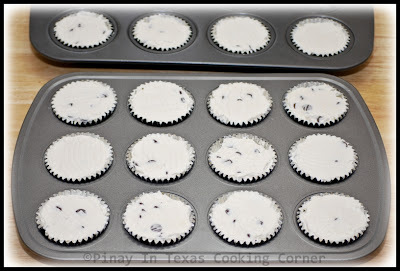 Pour about ¼ cup batter into each prepared baking cup, smoothing tops. 6. 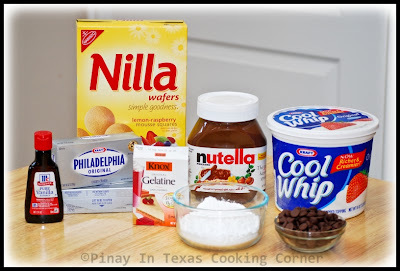 Put nutella into a piping bag and starting in the center of the cheesecake, pipe a spiral, spacing lines about ½ inch apart. Pull the tip of a paring knife in a gently curved line from the center of the spiral to outer edge. Wipe knife clean, and repeat every inch or so to form a web. 7. Refrigerate for at least 3 hours before serving. These are so adorable! 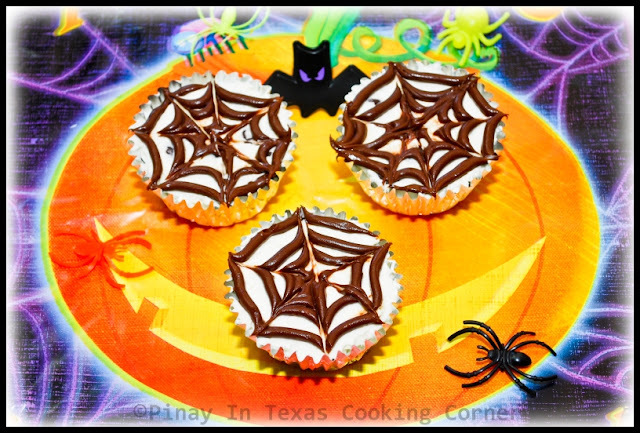 I love halloween cupcakes and this one looks extra special with my favorite Nutella on top :). Halloween is becoming a big deal over here too Tina though I am not into it. 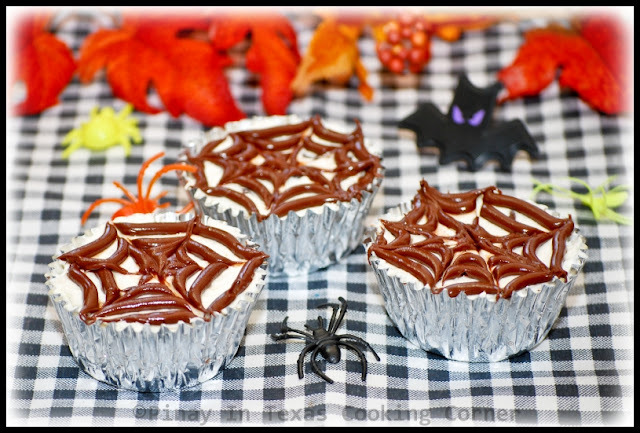 These cupcakes fits the theme of Halloween perfectly great and yummy too. These look fantastic, what a fun idea! Those are just adorable. I'm sure they're delicious, too. The no bake part is a bonus. I miss Todos los Santos, Tina. I think it is more fun than Halloween. I love these!! Nicely done and no baking even. Love that backdrop too! And great step by step instructions, Tina. These no-bake cheesecakes are so cute! Love coming to your blog again and again. So, I am following you now! These are so cute. Such a wonderful idea for the holiday. Halloween is just so much fun. Wish my kids were little again. What a cute decoration! I guess they also taste great! Cute decorations on the cupcakes! Nice that they are no-bake too! Best part of these cupcakes?!?!? The Nutella!!!! YUM! I'm just realizing something here: I should not be looking at all these great recipes! They're making me think I'm hungry. 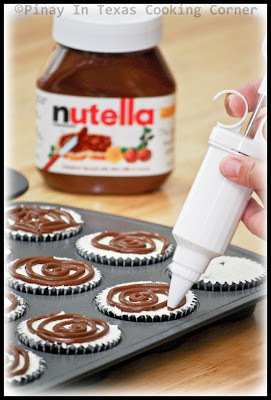 :-) These are cute, and I know some people who are addicted to Nutella, so this is perfect. OMG, this is such a gorgeous recipe! Happy Halloween, my dear! These are adorable! 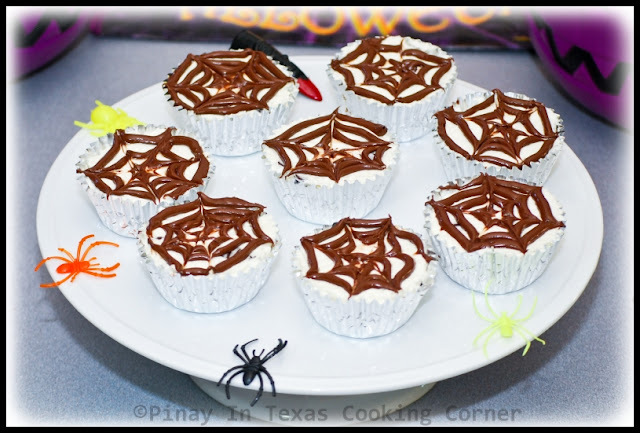 They are some of the best cupcakes ever for Halloween! i wish I saw these before the holiday! I can make them for fun, I suppose. Thank you!